﻿ Centara Sandy Beach Resort Da Nang (Vietnam) | FROM $66 - SAVE ON AGODA! 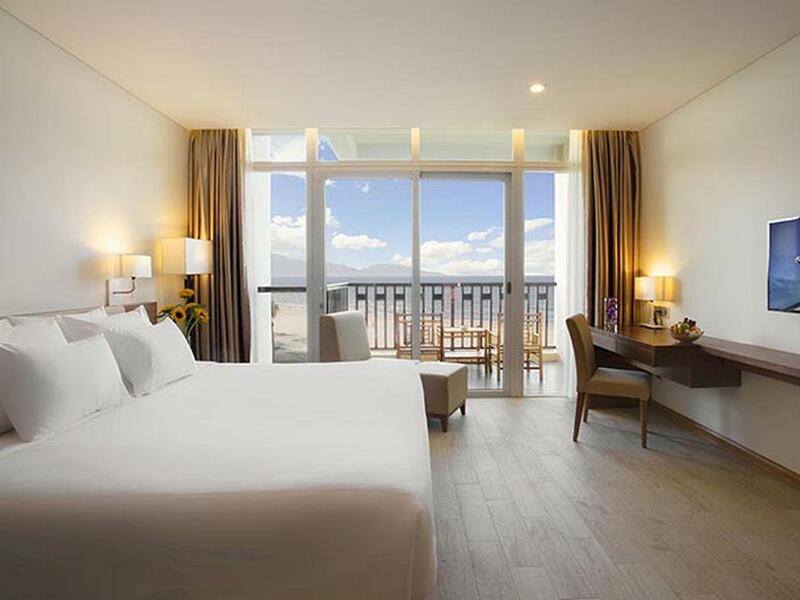 "Quiet a distance from the city but a nice place to wind down..."
Have a question for Centara Sandy Beach Resort Da Nang? 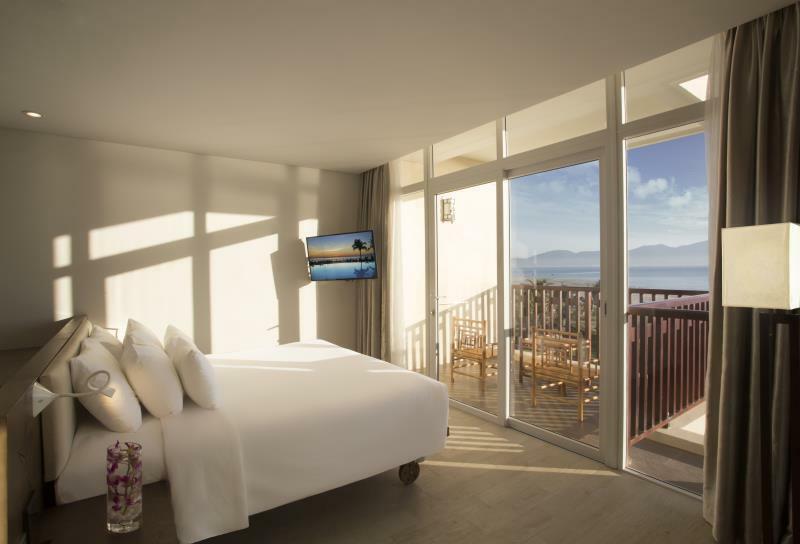 "We stayed in 2 Deluxe Ocean Front Rooms which were a fantastic size and the view was just amazing from the 4th floor." "The staff I had contact with were fantastic, courteous and a..."
"We travelled as group of friends with an infant and we had a..."
Please note that there is no extra charge for children under the age of 12 sharing the room with their parents if no extra bed is required. 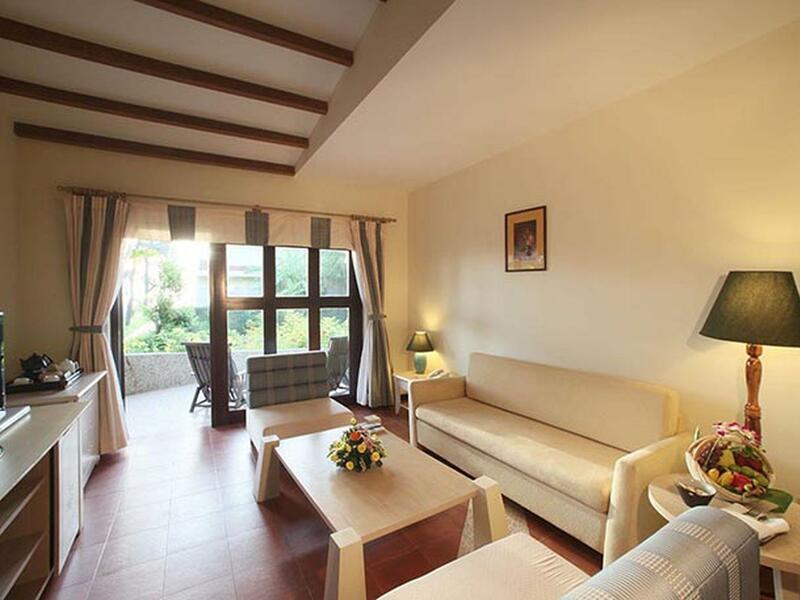 The hotel offers daily shuttle service from resort to Da Nang and Hoi An. Kindly contact the hotel directly for further information. It is a good place to relax. Free yoga class is served and a teacher is nice. 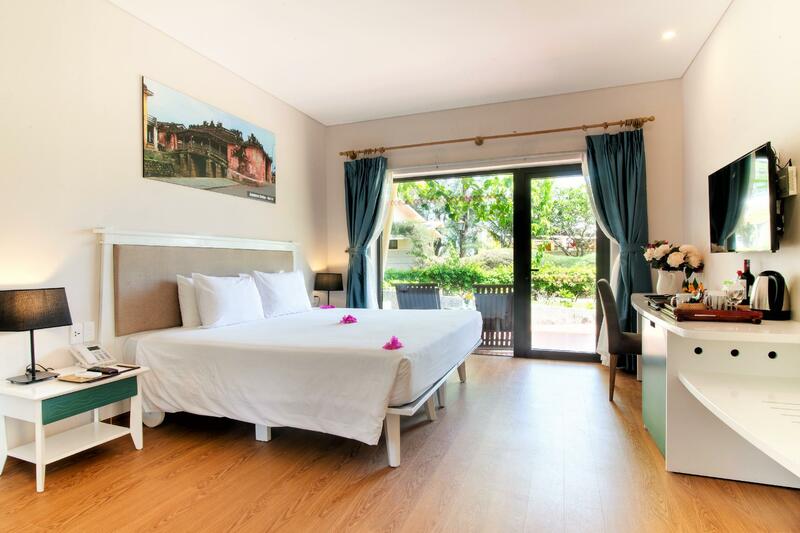 It is very convenience as a free shuttle bus to town centre and a paid shuttle bus to Hoi An, very convenience. It would be better if a shuttle bus to airport can be served. 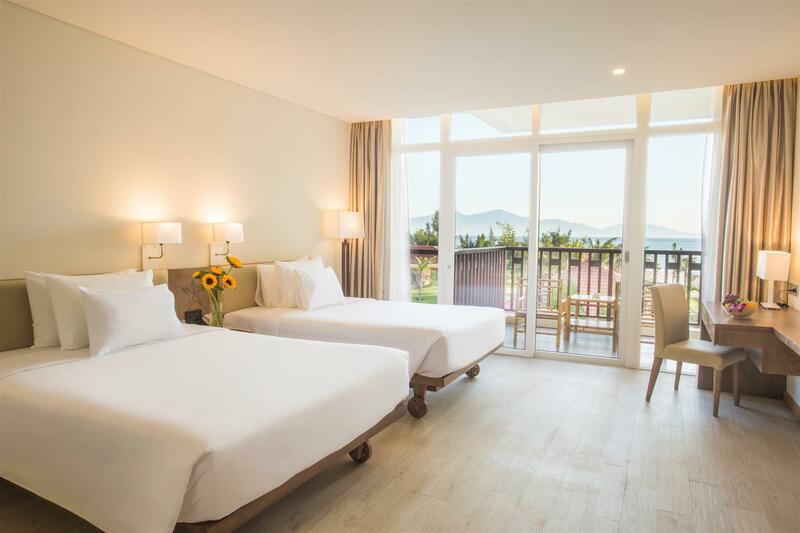 Good beach front accommodation, clean, friendly staff, location quite far from Da Nang City but if you want a cozy place and quiet environment, this place would be recommended. Good value for money. Grab works perfectly to go Hoi An. Also they have a transfer, but timing not the best. A bit old, but we had a very nice experience. The beach...awesome. Food....very nice at the restaurant ( the one that opens from at 5 pm). Very friendly staff, andthe spa is very good! If you want to get away from the busy city and enjoy a peaceful resort, this might be your place. Right next to the beach on a beautiful peice of property. I’d suggest bringing outside water and snacks, but the hotel was great. We had a great ocean view bungalow. Pool is slightly above average. Staff were absolutely awesome. Many Grabs or Taxi’s nearby. Have fun! Huge spacious room as advertised. Staff were helpful, polite friendly. Wake up in the morning to catch a good sunrise and Seaview... All troubles are thrown to the back of the head. Really enjoyed the stay! Centers Sandy Beach hotel has a beautiful beach. Stayed in the ocean view room which gave us a beautiful view of the beach. The beach and water are clean but it would be good for the hotel to clean the small bits of rubbish on the beach every day so it doesn’t accumulate after a while. The breakfast buffet is good - nice selection of local and western food. The staff are extremely friendly and helpful. Choose to dine in or head downtown for more food options. Didn’t get to try the spa.. the menu is all in Vietnamese so this might be an area for improvement. On behalf of the entire team at Centara Sandy Beach Resort Danang, we thank you for choosing us, and for taking the time to review your stay. We are happy to know you had a memorable time in Da Nang, and you was comfortable with our service like the restaurant, our staffs. We will share your appreciated review with our associates to make a boost to improve the quality. Once again, we truly hope we will have the pleasure of welcoming you back to Centara Sandy Beach Resort Danang in the near future. Dear Quynh, thank you for giving a great rating on TripAdvisor. We are happy to hear about your satisfaction with the service at Centara Sandy Beach Resort. However, we will improve our staff's skill for the best experience. We truly hope to have a second chance to welcome you in the near future. This resort is a 10 in every area!! The location is right on the beach and there are local restaurants within walking distance or for $5.00 you can take Grab into DaNang. 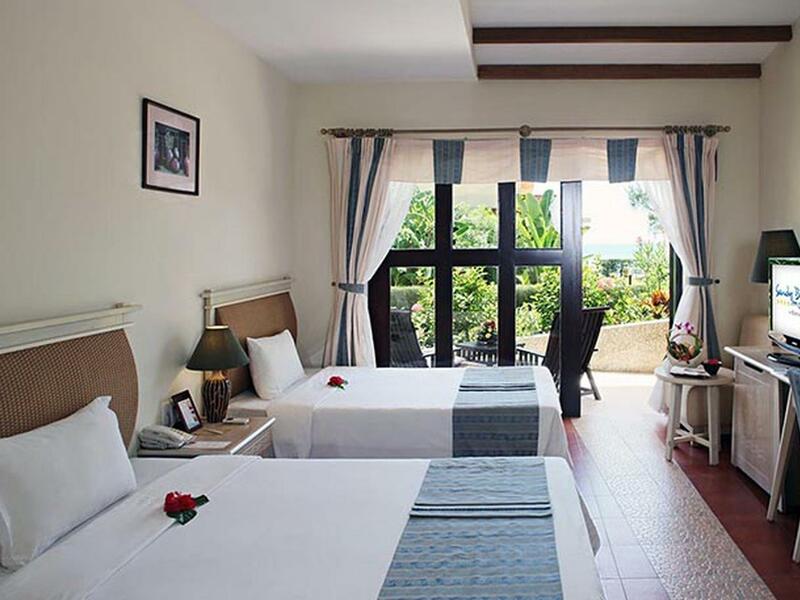 The hotel offers free daily shuttles into DaNang and Hoi An. The staff are incredibly friendly and helpful. Duyen helped me book a tour to Cham Island which was incredible! We stayed 5 nights and the manager unexpectedly upgraded us for free to an ocean front bungalow from our garden bungalow. Will definitely stay here again. Dear Glenda, Thank you for choosing Centara Sandy Beach Danang, and for taking your valued time to write us a positive review during your stay. It is really nice to know that you had a good impression with our service and the staff especially Ms. Duyen. We will surely pass on your generous words of recognition to our associates who will be very inspired to keep on providing high standard of services to all of our guests. Once again, thank you so much for choosing Centara Sandy Beach Resort and we hope to have chance to serve you when you come back to Danang in the near future! We stayed in the bungalow for few days. Everything is okay but the water pressure in the bathroom is extremely weak. This was our second stay at Centara sandy beach as a family of 5, kids aged 9-13years. We stayed in 2 Deluxe Ocean Front Rooms which were a fantastic size and the view was just amazing from the 4th floor. Lots to choose from for breakfast. The location is near Marble Mountain so you need to take the courtesy bus to Hoi An or DaNang or just get a Grab. We liked the location as it is quiet and the beach was not crowded. Maybe need to add extra times to the courtesy bus timetable. Staff members Duyen and Hung were just lovely, helpful and great to talk to. We will be back again when we return to Vietnam in 2020. The hotel is nice and clean. Price is average as it comes with breakfast buffet. The breakfast buffet is really good and there are a lot of choices. we really enjoyed the breakfast there. The only disappointment was that I only get a half seaview as the other side of the building was blocking the other part of the seaview. Some staffs are friendly some are not really, I guess it really depends on who you meet. The beach is quiet and clean, which is exactly what I expected. Location wise, not too convenient if you want to go to the city. You might need to use Grab/taxi to get around. Overall, I enjoyed my stay here. Just a suggestion, perhaps you can put lazy chair/reclining chair over at the balcony so guests can just chill there. Friendly, clean hotel. We had some trouble communicating with the staff in English, limited food options for vegetarians. Great ambiance overall. 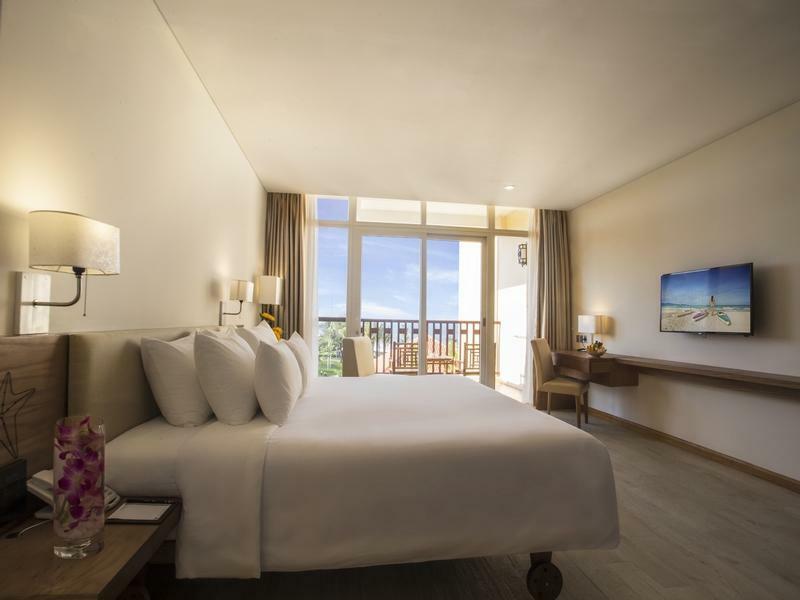 Comfortable stay in premium deluxe room. this hotel is nice and clean, within walking distance to the beach. only issue is the endless construction all around the property. pool is too small to swim in, cold, and open to the construction noise Exercise room is hot, no ventilation, but usable. The location is great. (Right across from Marble Hill.) Private beach area. 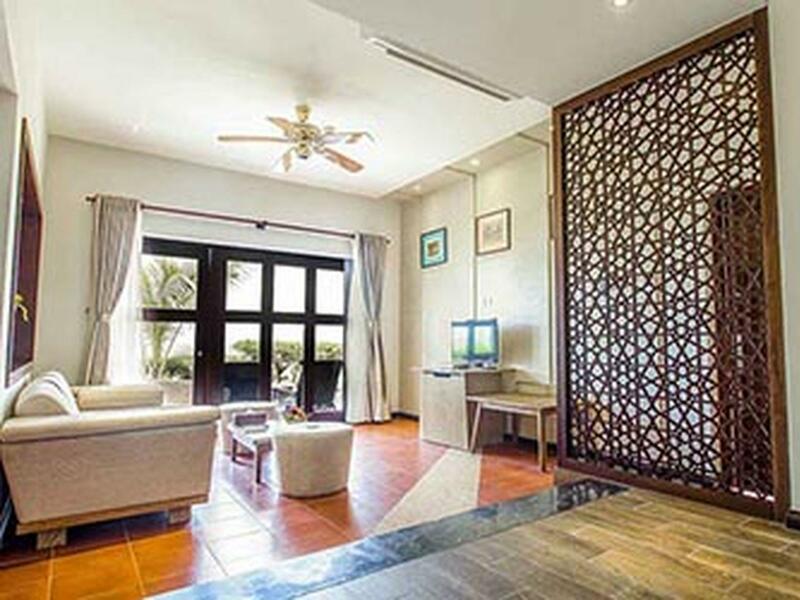 Only 20 minutes from the airport and 20 minutes to Hoi An with free shuttles from hotel to and from Da Nang city and Hoi An daily. Staff is friendly. Breakfast buffet and snacks we had from the beach bar were decent, not stellar. But for the price, we'd definitely stay again. While we stayed in this resort, there weren't many people around. The beach is so clean and the water is clear, a bit too wavy though. The resort is so big and relaxing nature friendly. Only one thing negagative was the location. It is too far from downtown and has only two shuttle buses; one in the morning and one in the afternoon. But after all it was great pleasure to stay in this resort. fanastic place to stay, we got a deal at around 90% off so yes was good value. 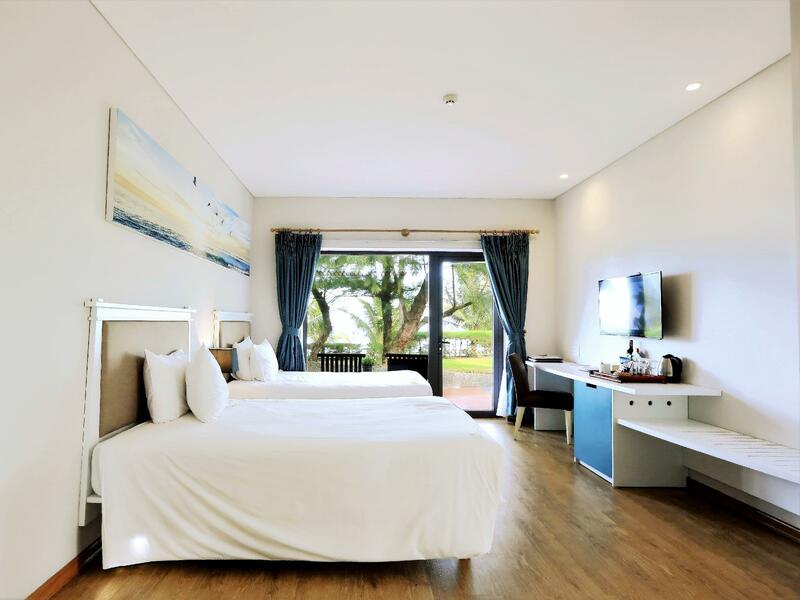 This resort is up and coming and not finished yet and staff are all very new too which attests to misunderstanding and inexperience that resulted in several problems with ordering and getting assistance in room. Will be an amazing place to stay!